Yesterday, after lunch in Midtown, I walked up to the Frick Collection. It’s a spectacular collection of European art–like a highly condensed version of the Louvre. 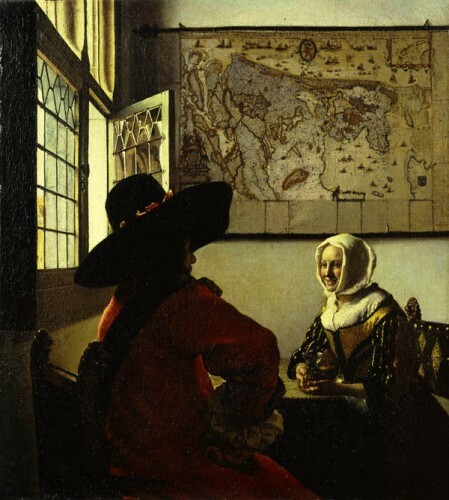 The Web site lets you explore and zoom in on the paintings. Check out, for example, the sleeve on this Rembrandt self portrait. Henry Clay Frick was a coal (coke) baron in Western Pennsylvania and made his money from the steel industry. He ordered the deadly crackdown at the Carnegie mill at Homestead, in 1892. 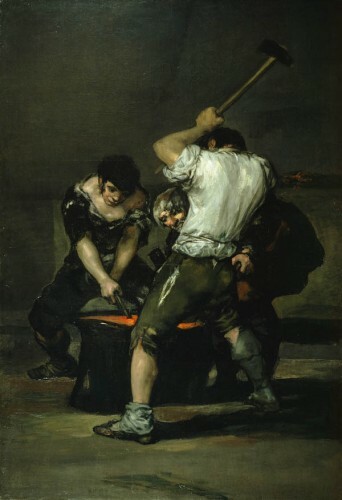 This piqued my interest in the Goya that he bought (below), which features steelworkers. Speaking of steel, I’m heading out to Pittsburgh next week for a reporting trip, following a Lunch forum Monday at Penn State. In my baseball geeky way, I’m enjoying this statistical study on the effectiveness of fastballs. The conclusion, based on the crunching of millions of pitches and the weighing of hundreds of variables, is that pitchers rely too much on the fastball. variables, is that pitchers rely too much on the fastball. pitcher to control. He’s ‘sitting’ on the pitch, in baseball parlance. change-ups and curves in hitter’s counts.